Have you heard of Premama? They’re known for their powdered prenatal vitamin supplements that blend easily into any un-carbonated beverage. On July 15th they’re rolling out two additional products: Fertility, and Lactation. Since I’m no longer nursing, but we are trying to conceive, I figured that I’d give the Premama Fertility support supplement a go. It feels like we’ve been on our trying to conceive journey for quite some time, and through the process, we have learned a lot. One of those things includes the importance of having a large quantity of healthy eggs. Without healthy eggs and a sufficient number of eggs, even with all of the medical interventions, getting pregnant either doesn’t happen or can lead to other complications like miscarriages or children with birth defects. That’s where Premama Fertility comes into play. Premama Fertility is a white powder supplement that is both odorless and tasteless that claims to improve the quality and quality of eggs due to the naturally occurring ingredient, Myo-Inositol, a B complex vitamin. Premama Fertility also has folic acid, which is important for both pregnant women and those of us trying to conceive because it can help protect your future baby from serious birth defects like spina bifida or anencephaly. There have been plenty of products I’ve tried that have stated they blend easily into any beverage without leaving clumps behind or grittiness, which turned out to be false. Premama Fertility support, on the other hand, was different. It didn’t take much for the powder to completely dissolve in water. 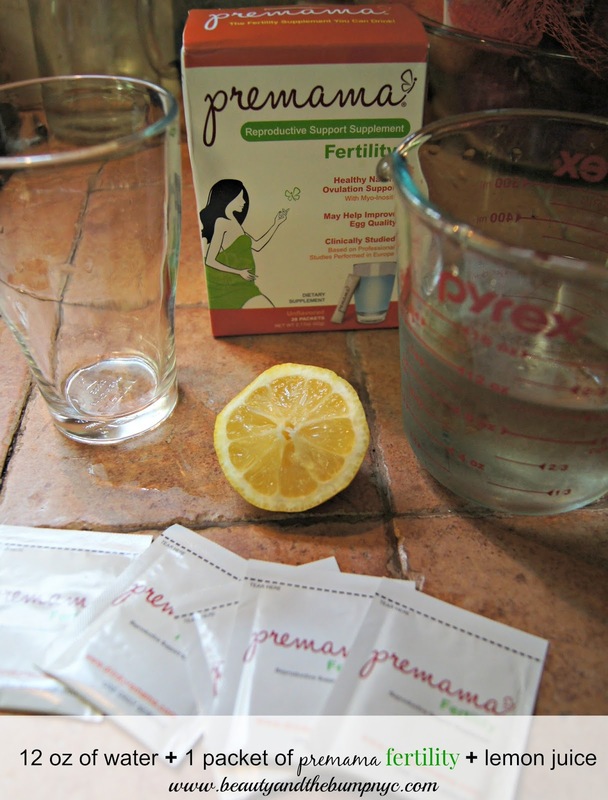 The Premama Fertility support didn’t change the flavor or consistency of any of the beverages to which it was added. I like that the Premama Fertility support packages are discreet little squares that can easily fit in my pocket or purse, which make them the perfect item for toting along during travel, which we will be doing a lot of in the upcoming months. There’s nothing on the Premama Fertility support packaging that suggest this supplement has to be taken at a specific time during the cycle, so I can only assume that in that sense, it isn’t like other fertility supplements. Unfortunately, without a successful pregnancy or a test to check the quality of your eggs along with the number of eggs in your reserve, there’s no real way of checking to see whether or not Premama Fertility really works. However, I was told that results from taking Premama Fertility, due to the Myo-Inositol, can take effect as soon as one week. That’s awesome. I’m hoping that once we start our first IVF cycle, we can see some improvement in the number and the quality of eggs produced after incorporating Premama Fertility into my routine. 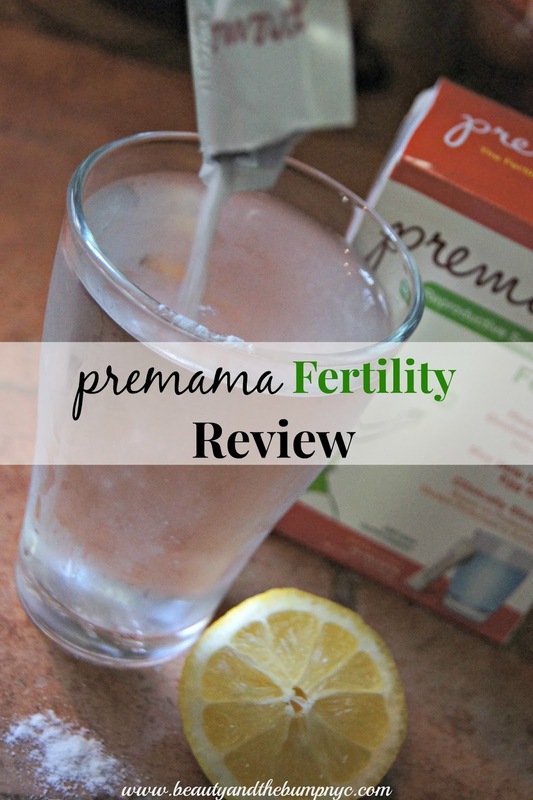 If you’re looking for a simple way to add an essential B vitamin and folic acid into your diet, you may want to check out Premama Fertility. Imagine all of the different types of fertility smoothies you can make using Premama Fertility, and not have to worry about the flavor nor consistency changing. At $15.99/ 28 count box (58 cents per packet), Premama Fertility is an affordable way to incorporate fertility support into your diet. Premama Fertility, along with the other Premama products, as of July 15th will be available in 2,300 CVS stores for $14.99. 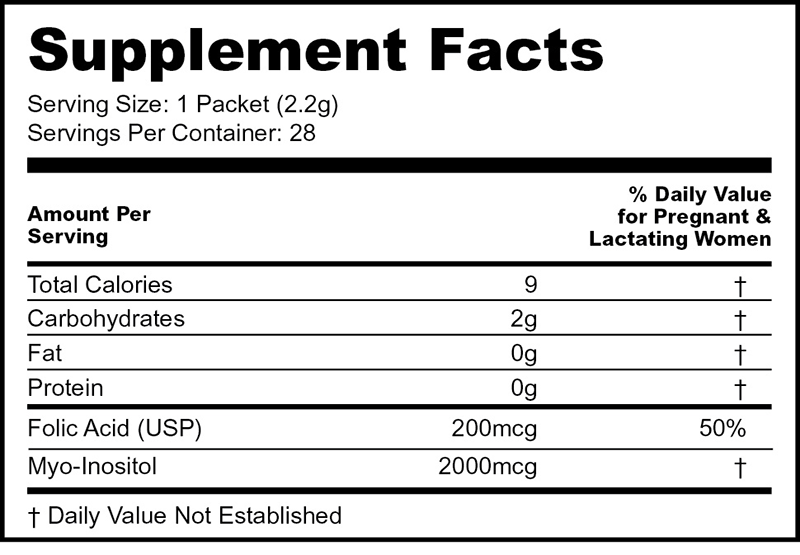 PCOS Diva has excellent information on Myo-inositol here: De-Mystifying Myo-inositol. 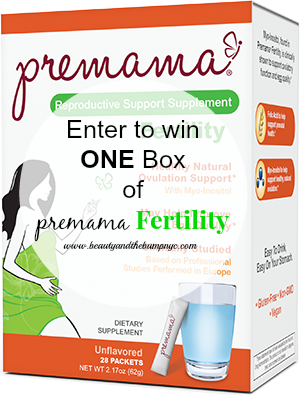 One lucky Beauty and the Bump reader can win one box of Premama Fertility. Just use the widget below to enter. Premama Fertility Giveaway will run from Sunday, July 12, 2015 – Sunday, July 26, 2015 11:59 pm EST. You must be 18 years old and older. U.S. residents only.